After nearly 20 years in the Richmond food scene, a local chef is preparing to step out on his own in Scott’s Addition. Mike Ledesma on Tuesday announced plans to open his first restaurant in the former Joy Garden Chinese space at 2918 W. Broad St.
Ledesma, who has worked at Max’s on Broad, Richmond Restaurant Group and currently as executive chef at Kabana Rooftop downtown, said he’s still working out details for the venture, including a name and menu. Joy Garden closed last summer after owners Mark and Bang Sin didn’t want to pay rising rents in the booming neighborhood and were looking to retire. The property was purchased in 2015 by a group made up of Birck Turnbull of Cushman & Wakefield | Thalhimer and Charles Bice of KB Building Service. Ledesma leased the space with help from broker Annie O’Connor of Colliers International. The chef said he plans to invest about $1.2 million into the space and is targeting a winter 2018 opening, pending city and ABC approvals. He has yet to retain a general contractor or architect for the overhaul. Mike Ledesma. Photo by Jess Aicholtz. 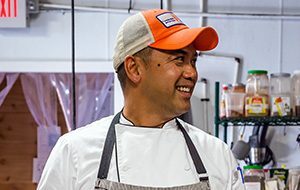 An ode to his journey from Hawaii to Virginia, Ledesma plans to bring American cuisine and traditional Filipino dishes to the Scott’s Addition eatery, ranging from lumpia spring rolls to pork barbecue. A Baltimore native and the son of Filipino immigrants, Ledesma worked his way into the Richmond dining scene after leaving a job as a financial consultant in Hawaii. He later enrolled in culinary school, where he graduated at the top of his class. He returned to the East Coast and worked in kitchens, including a stint as sous chef for “Iron Chef” contestant Roy Yamaguchi, in various capacities throughout West Virginia and Maryland. Once in Richmond, Ledesma said, he honed his skills by opening Hard Shell’s second location in Midlothian in 2011. About two years later, he was retained by the late Ted Santarella to open the Belgian-inspired Max’s on Broad in Jackson Ward. Ledesma then served as Richmond Restaurant Group’s corporate executive chef, where he managed culinary programs for its six locations that include The Daily, Pearl Raw Bar and The Hill Café. After leaving the Richmond Restaurant Group in 2016, he signed on at Kabana Rooftop atop the dual-branded hotel at 700 E. Main St.
Scott’s Addition is on a roll when it comes to landing new restaurants. Longoven announced plans to open its first permanent brick-and-mortar location at 2939 W. Clay St.
Brenner Pass, run by the owners of Church Hill’s Metzger Bar and Butchery, opened in June in the redeveloped Symbol Mattress factory. Chairlift, the coffee shop and bakery connected to Brenner Pass, is also open. And HofGarden, a German-style restaurant and beer garden, is now open in the Hofheimer Building at 2818 W. Broad St. 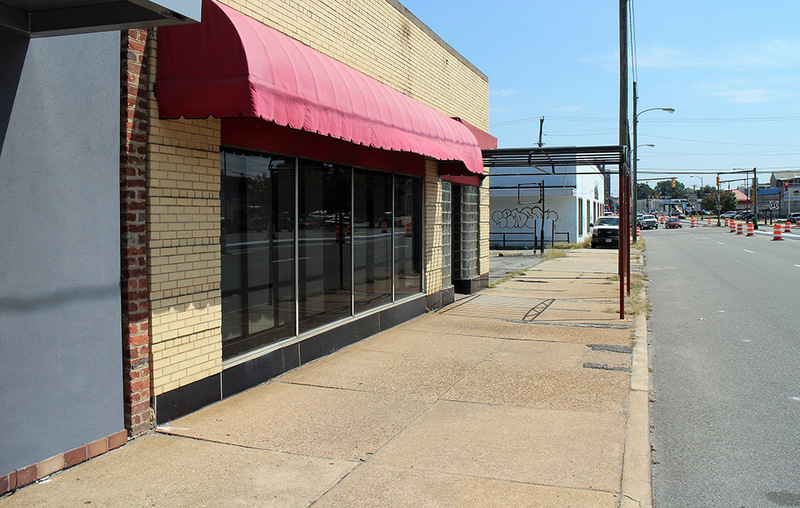 The ownership group of the Joy Garden building also owns neighboring 2900 W. Broad St., where it is working with Comfort and Pasture co-owners Jason Alley and Michele Jones, along with Saison owner Jay Bayer, to open Bingo – combining a bar, arcade, restaurant and brewery under one roof.